Published on 5 March 2014. 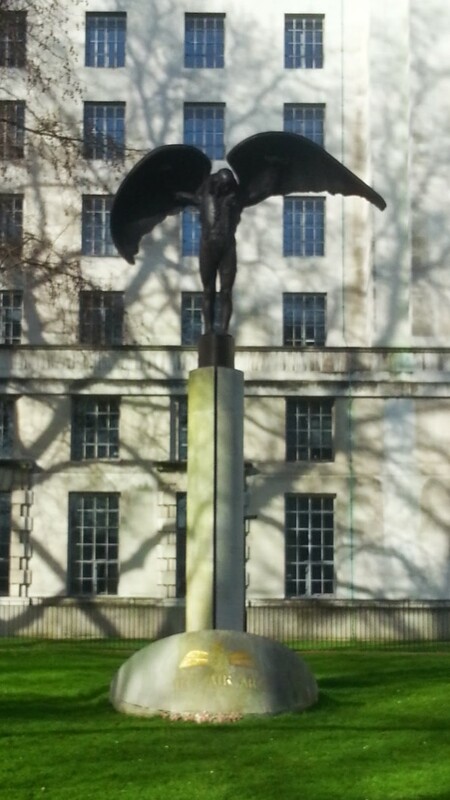 This is the Fleet Air Arm memorial in Victoria Embankment Gardens, sandwiched between the Ministry of Defence and the Thames. I should probably be ashamed to admit that I had to look up the Fleet Air Arm: it’s the bit of the Navy that deals with aircraft. This 2,175th post was filed under: Photo-a-day 2014, Scrapbook.